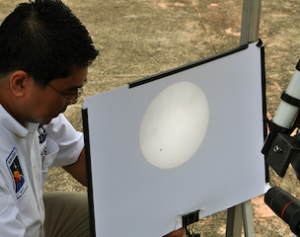 The year 2012 was a year of growth for the Manila Observatory. We celebrated triumphs, new collaborations and the strengthening of partnerships in the pursuit of our science agenda. Here are some of the many highlights of our work in 2012. The Manila Observatory Archives aims to preserve, for further use and dissemination, any recorded information that embodies the work of the institution. 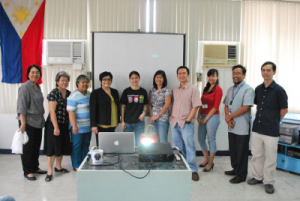 In June 2012, the Archives hosted an exhibit called “Preserving History and Science: an exhibit of the Manila Observatory Archives”. The exhibit highlighted the Manila Observatory (MO) and its collection which includes textual records, photographs, and other historical and scientific data. 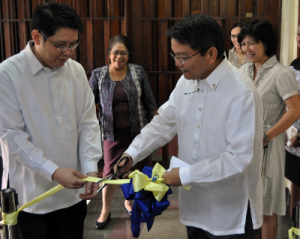 This exhibit was an opportunity to promote the Manila Observatory and its Archives to the community as research institution and source of valuable historical and scientific data. The construction and preservation of its collections were made possible through the assistance of the Agencia Española de Cooperacion Internacional para el Desarollo (AECID) and Cives Mundi. The opening of the exhibit was lead by Fr. 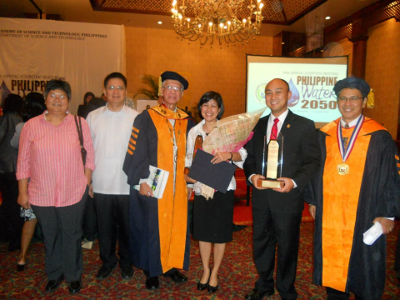 Jose T. Villarin, SJ and attended by the Ateneo de Manila University ofﬁcials, Board of Trustees of the MO and partners and staff of the MO. Venus passed directly in between the Sun and the Earth on June 6, 2012. This was the last Venus transit of the century and was visible from its beginning to end in the Philippines in the morning of 2012. the earlier one in 2004 was visible while in progress, and the next one will be in 2117. Students, staff, and the general public were treated to the rare twice-in-a-lifetime view with setups from the Manila Observatory and the Philippine Astronomical Society. 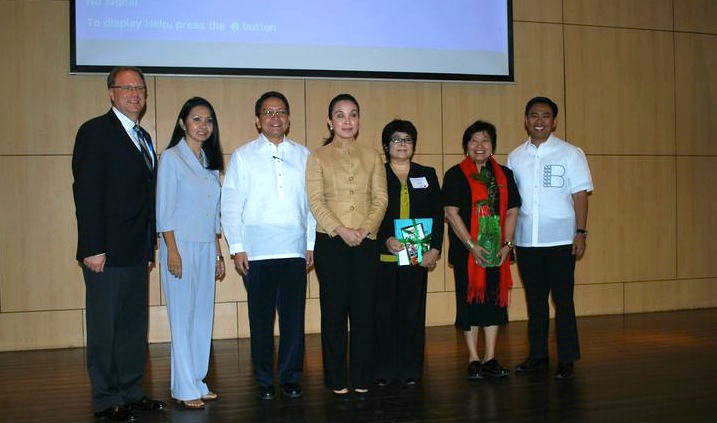 In March 2012, Manila Observatory and the Ateneo de Manila University formally launched the Coastal Cities at Risk (CCaR) Building Adaptive Capacity for Managing Climate Change in Coastal Megacities Project. Coastal megacities are especially vulnerable to the effects of climate change and pose the need for an interdisciplinary approach to climate change. The CCaR project aims to address climate change in Metro Manila – where it can lead to drastic changes in the coastal megacity’s economic, social, and physical infrastructures. As part of the International Research Initiative on Adaptation to Climate Change (IRIACC), the project is funded by the International Development Research Centre (IDRC), the Canadian Institutes of Health Research (CIHR), the Natural Sciences and Engineering Research Council of Canada (NSERC), and the Social Sciences and Humanities Research Council of Canada (SSHRC), Ottawa, Canada. The ﬁve-year program will involve in-depth studies of coastal megacities in Canada, Thailand, Nigeria and the Philippines. IRIACC-CCaR involves the input of natural, engineering, social, political, economic, and health scientists. 3) Transferring knowledge and capacity building. Several automated weather stations (AWS) were launched in different locales as part of the Metro Weather network. Metro Weather is a public-private partnership that has established a network of 30 AWS in Metro Manila. This network will provide free and near real-time weather data that can be used to prepare for severe weather conditions such as tropical cyclones and heavy ﬂooding. 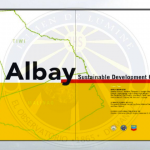 A guidebook for the local governments of Tiwi and Malinao in Albay on how to plan and develop projects that aid in their sustainable development was completed and launched in 2012. Dr. Gemma T. Narisma, the Associate Director for Research and Director of the Regional Climate Systems Program at the Observatory, wa s recognized by the National Academy for Science and Technology as the Outstanding Young Scientist for Atmospheric Science in 2012.